Buenos Aires (AFP) - Argentina blamed the United States for the legal battle that forced it to miss a debt payment and, despite ratings agencies' declarations to the contrary, denied being in default. Ratings agency Fitch declared Argentina in "restrictive default" Thursday after 11th-hour talks failed to resolve the country's dispute with two US hedge funds that refuse to accept a write-down on their Argentine bonds. Fitch's label echoed the "selective default" declared Wednesday by Standard & Poor's. Both terms indicate that Argentina has defaulted on one or more of its financial commitments but continues to meet others. US District Judge Thomas Griesa has blocked Argentina from paying its "exchange creditors" -- those who agreed to take a 70-percent write-down after the country's 2001 default -- without also paying two American hedge funds that took it to court demanding full payment. Argentine stocks plummeted Thursday, closing 8.43 percent down as the repercussions of the default began to set in. 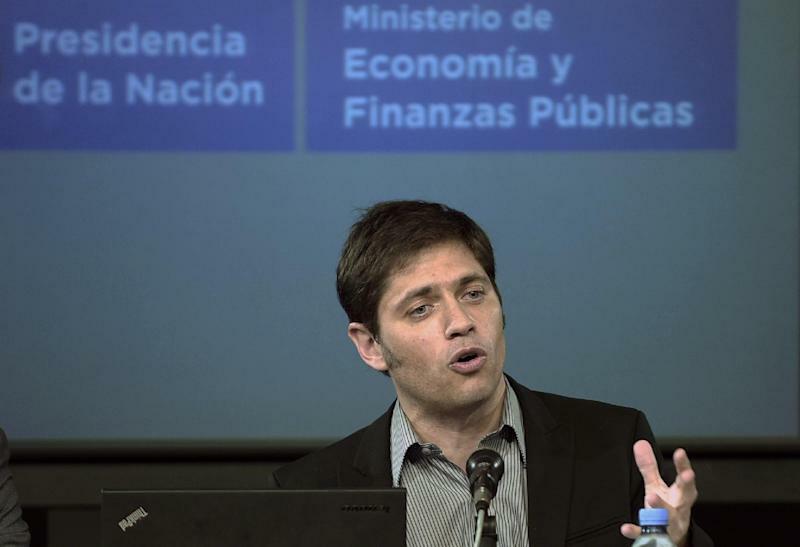 President Cristina Kirchner's cabinet chief, Jorge Capitanich, blamed the US government, Griesa and a court-appointed mediator for the messy legal dispute, which made Argentina miss a $539 million payment to exchange bondholders. "If there's a judge who's an agent of these speculative funds, if the mediator is their agent, what is this justice you're talking about? There's a responsibility of the state here, of the United States, to create the conditions for the unconditional respect of other countries' sovereignty," he said. 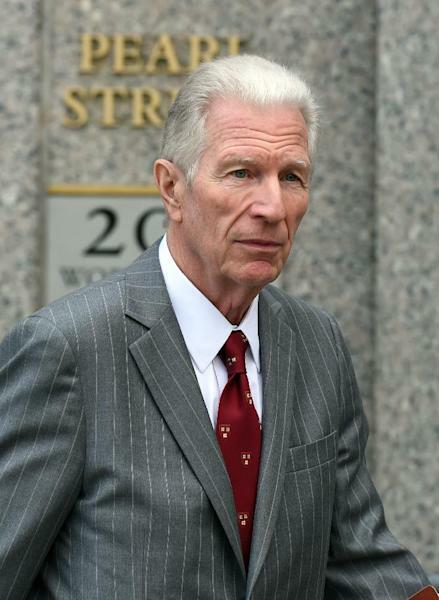 He accused Griesa and mediator Dan Pollack of "incompetence" and said Argentina would take the matter to international courts. 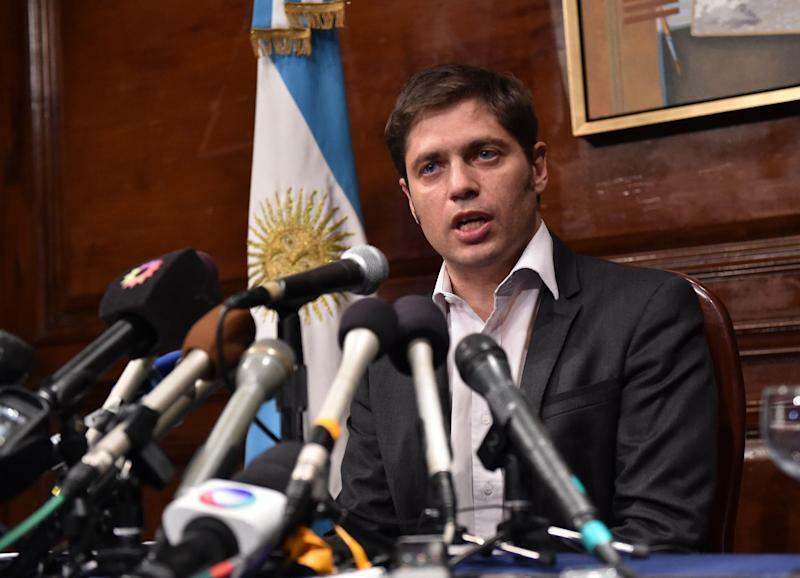 Argentina says paying the holdouts the $1.3 billion it owes them could expose it to claims for up to $100 billion from exchange creditors, who are entitled to equal treatment under what is called a Rights Upon Future Offers, or RUFO, clause. The US State Department said it opposed the court ruling but called on Argentina to get its books in order. "They’ve made some good progress towards meeting their obligations, and we believe it's in their interest to normalize relations with all of its creditors," said Deputy State Department spokeswoman Marie Harf. Kirchner denied her country was in default, reiterating that it had transferred the payment in question and condemning the tactics of the hedge funds, which she calls "vulture funds." "We live in a profoundly unjust and profoundly violent world and this is also violence. Like missiles in war, financial missiles also kill," the president said in a nationally televised address. "I want all Argentines to remain very calm, because Argentina is going to use all the legal instruments our contracts give us." The Bank of New York confirmed Buenos Aires' payment to the exchange creditors was still sitting in the US bank's account at the Argentine central bank, frozen there by Griesa's ruling. Amid the back-and-forth, some in the financial world called for a simple yes or no on whether the country had defaulted. The International Swaps and Derivatives Association, a trade organization for participants in the derivatives market, said it had accepted a request from Swiss bank UBS to rule whether Argentina was in default or not. A default would activate insurance contracts on the relevant debt. Argentina got a show of support from more than 100 economists, including Nobel laureate Robert Solow and other prominent academics, who sent a letter to the US Congress urging it to intervene. "The district court's decision... could cause unnecessary economic damage to the international financial system, as well as to US economic interests (and to) Argentina," said the signatories, warning the ruling created a "moral hazard" by guaranteeing creditors full payment no matter how risky their investment. With Argentina scrambling to find a way to placate the hedge funds until the RUFO clause on its restructured debt expires at the end of the year, sources close to the case told AFP that JP Morgan and other banks were in negotiations with the holdouts to buy some or all of their bonds. Analysts said the damage could still be controlled if the default was fleeting, but warned a lengthy standoff would deepen Argentina's current recession, fuel inflation and unemployment and further the country's isolation from global financial markets. Argentina's 2001 default on $100 billion in foreign debt, the largest in history at the time, plunged the country into crisis. Rioting left 33 people dead after the government froze savings accounts to halt a run on the banks. But analysts say the global impact of the new default will be far smaller, since Argentina has since been locked out of international capital markets.